Aquatic invertebrates can be geographically dispersed by abiotic vectors (wind, rain and water flow) or organisms (mainly by insects, fishes and waterbirds). However, there is a lack of information on the dispersal by waterbirds of cladocerans and especially rotifers, and on the hatching success of the dispersed propagules. Here, we quantify the dispersal of cladocerans and rotifers by waterbirds through analysis of their faecal droppings collected in a wetland formed by two natural lakes located in Doñana National Park (Spain). We also study the influence of different photoperiod and temperature conditions on the hatching success of the dispersal propagules. 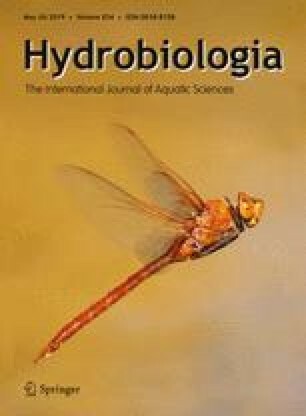 Diapausing propagules of 22 species of rotifers or cladocerans were identified in waterbird faecal droppings, with a mean number of 0.9 diapausing propagules per dropping. The hatching success rate, which was not influenced by photoperiod or temperature, was low (~ 12.5%). Nevertheless, the role of rotifer dispersal by waterbirds appears to have been underestimated in the past. In this study area, the dispersal of rotifers by waterbirds may be at least as relevant as their dispersal by air currents. Further studies are needed to evaluate the relative importance of dispersal mechanisms (mainly air currents and animal vectors) in different geographical areas. Financial support was provided by the Project CGL2007-65784/BOS, which was funded by the Inter-ministerial Commission of Science and Technology of Spain. E. Moreno was supported by a FPI fellowship from the Spanish Ministry of Education and Science. The authors thank David G. Jenkins and two anonymous reviewer for substantially improving the manuscript and are grateful to the Doñana Biological Station for its collaboration. The authors are also grateful to Richard Davies for linguistic improvements.